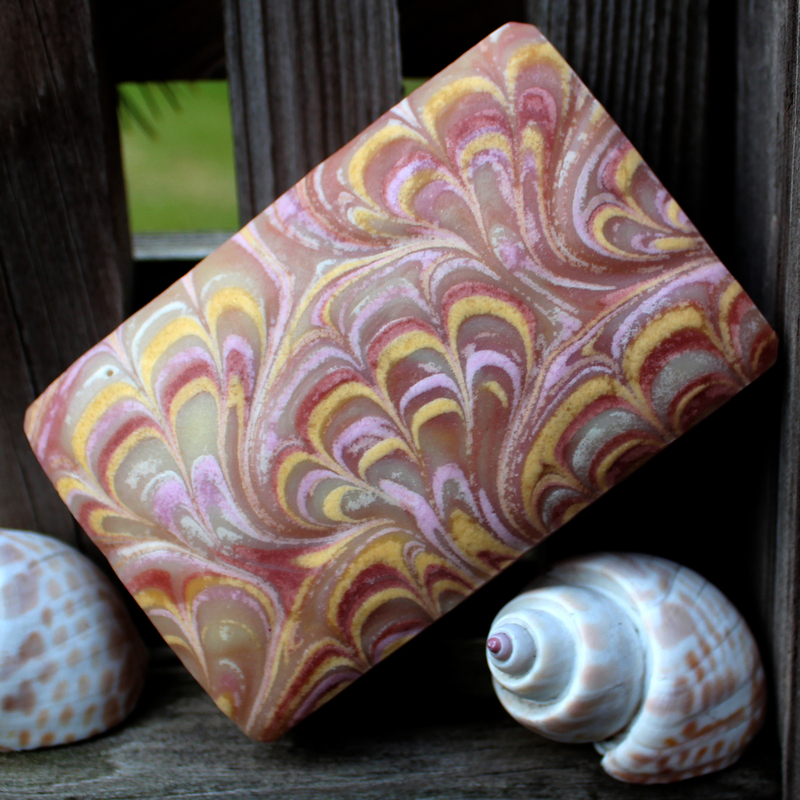 Magellan’s Gift Handcrafted Soap – The Muse is scented with patchouli, peppermint, spearmint and a dash of clove essential Oils. The soap is enhanced with activated bamboo charcoal. The design is created by pouring soap on a gold primed impression mat. For this version of The Muse Soap, I’ve added activated charcoal and kept the scent the same. The charcoal gives it a little texture for a mild scrubby effect. Charcoal is supposed to be detoxing and is often found in soap. I know of no way to prove this claim, so I will let you decide. 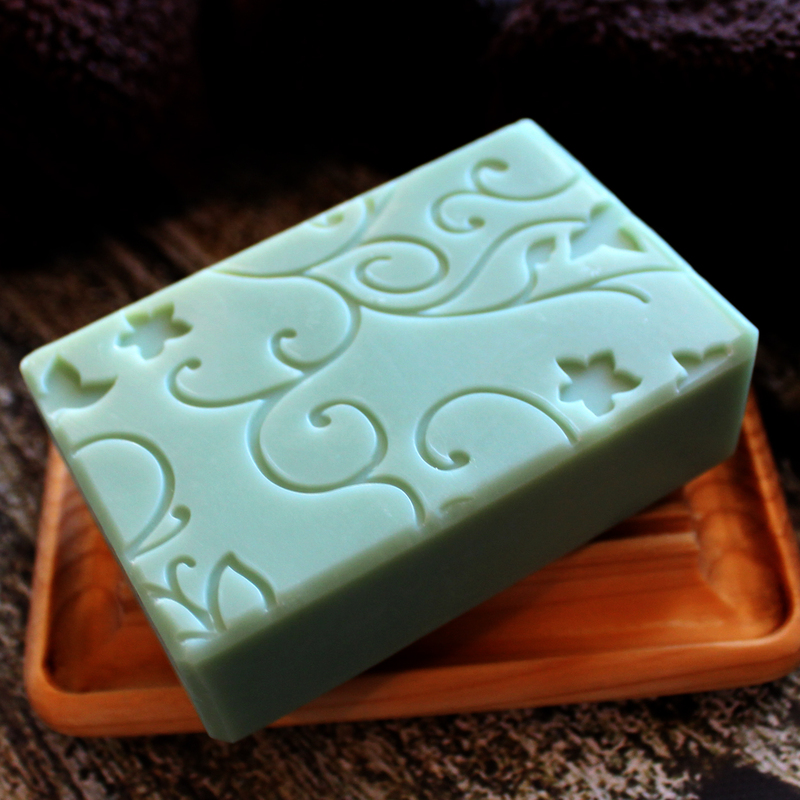 This soap has superior cleansing properties without leaving your skin dry. The bonus is the pleasant scent it leaves on your skin. 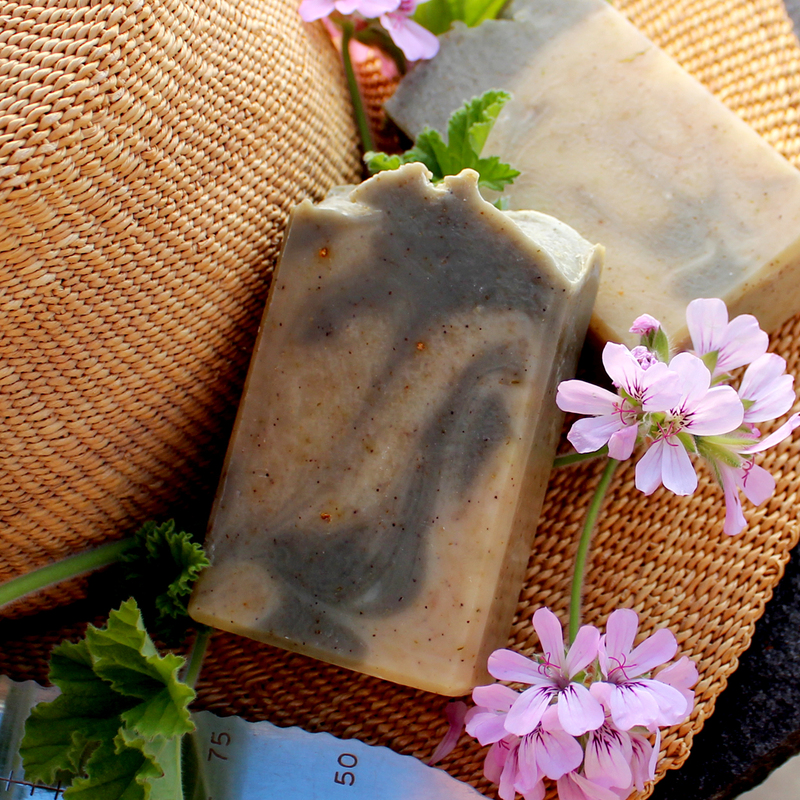 All for Adventure & Discovery in Fine Soap! Handcrafted gardener’s soap for glove haters! The Glove Hating Gardener’s Soap has finally arrived! 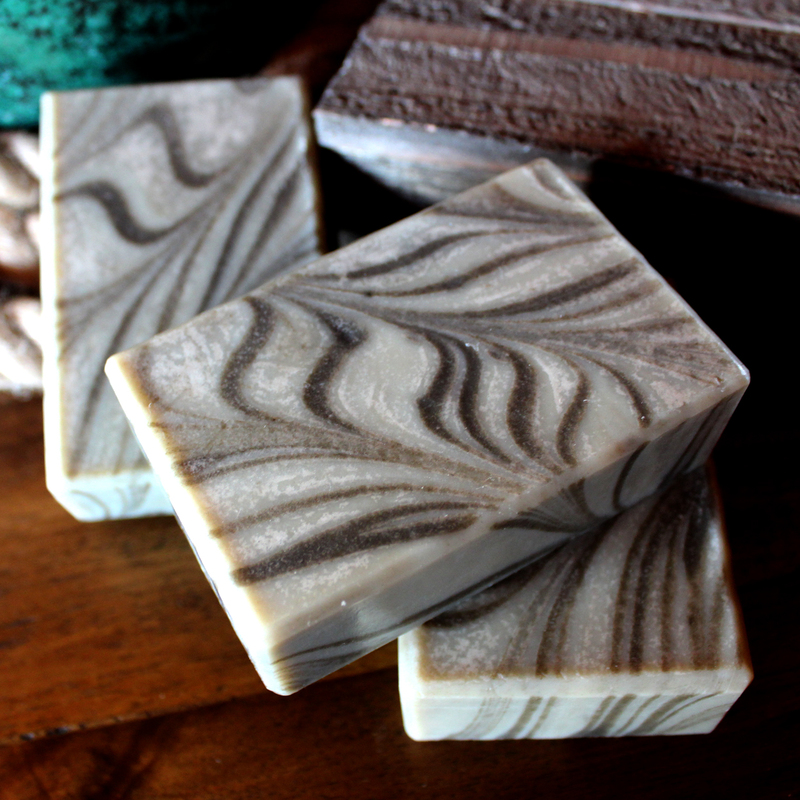 This fine handcrafted soap is based on the winter testing trials. This is done annually, where a new project is picked and perfected with your help. Samples are given out starting late February at the Harrisonburg, VA Farmers Market and with online orders at www.magellansgift.com . The small batches are staggered to allow feedback. Questions were asked, like: is it too coarse? Too soft? Is it moisturizing? Is it able to clean really dirty hands? But what was interesting . . . was how many people said they need a soap like this because they hated gloves. The final result is a scrubby bar of soap designed for the hands. It is good for the chef, as well as the cook, mechanic, farmer or gardener. It is enhanced with avocado oil and sea clay, scented with lemongrass, ginger and rose geranium essential oils. A special blend of corn meal, orange peel powder, parley powder, apricot grounds and pumice turns your rough dirty hands into clean hands that smell fresh and are soft. May warm bubbles surround your hands! A Soap Maker’s Kitchen – Once upon a time – it was normal. Once upon a time, I bought a small brick ranch house built in the late 60’s for my home. I had no idea what the future would bring. Most likely, my home will never be featured in a classy decorating magazine or win awards for design. Some women my age are remodeling kitchens with granite counter tops, I lust after stainless carts with wheels. My dining room table is gone, replaced with rolling stainless tables. Baby quilts used to insulate soap are stored in large baskets. Coconut oil is easily handled on re-purposed rolling stools. A new shelf has been added for my distillation equipment that I use for distilling rose geraniums. The chalk board captures my thoughts for the year as well as weekly goals. The tall rolling cart holds clean molds all covered and ready to use. I have three tables with heating mats. I like these for two reasons: the night before production day, I measure the ingredients into plastic buckets. The mats gently melt the solid oils like shea butter and coconut oil into liquid. I use blankets to help insulate the buckets. In the morning, I’m ready to go. The second reason, is after the soap is poured into the molds, I can quick start the reaction that makes the ingredients turn into soap. The molds are insulated with baby quilts on the mats. The benefit is the soap can be removed from the mold much sooner. On the right is a shelf for holding stainless steel pots for mixing lye. Inside is a Pyrex cup for mixing essential oils. They are covered to stay clean. I will add one more shelf for other equipment soon. This photo shows coconut oil in buckets with the needed tools to open and close them. Next to the hutch is a whole room HEPA filter that helps (somewhat) when working with strong essential oils. To the far left is a tall rolling cart that holds cubes of mostly olive oil and bottles of lye. The upside down buckets are containers that I like to use for creating the soap. They are made of HDPE which handles the reaction of soap making very well and yet are very light weight. My beloved pine hutch was made in the 1800’s and will stay. The combs located on the shelves are used for creating designs in my soap. I use a lot of cloths to reduce the use of paper towels. These are washed separately from my personal laundry. Drips are caught with a stainless steel bucket and the spout is kept covered. Soap is beveled here. I injured my wrist and could only use one hand, so this was my solution and it really helps! I have several of these carts. This one has equipment to cut logs and bars of soap. The bottom has spare equipment. I use carts to move the soap back and forth to the soap curing room. They really save my back. The future may bring a lye tank for storing lye solution and another tank for a master batching of soap, drums of oils instead of 50 lb buckets. I currently could easy use them up before spoiling. As I grow, my thoughts will no doubt change. Right now, I’m in a happy place, and I never wanted to be normal anyway. Last Chance for local sales for the year! This Saturday will be the last chance for local sales. Dress warm and enjoy the last market of the year. I will be back vending this Winter at the Harrisonburg, VA Farmers Market starting Saturday, January 2 from 9 AM to 1 PM. Online sales will continue, but might not arrive for Christmas Day depending on your location. Thanks so much for all those that have supported Magellan’s Gift™ either with purchases or positive comments! 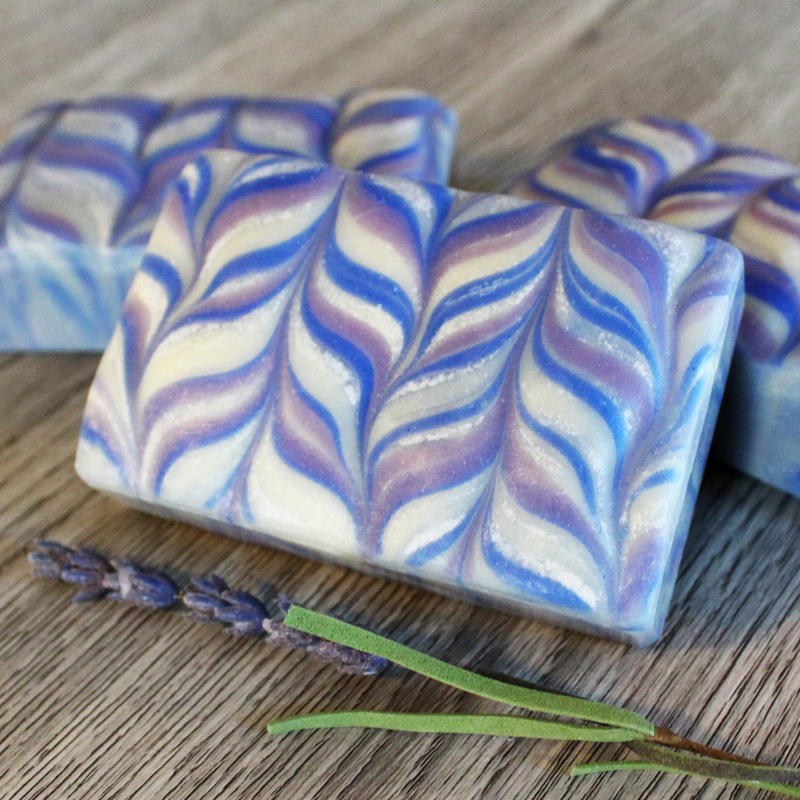 Sirens’ Song – a handcrafted soap scented with lavender, ylang ylang and patchouli. This is a little trial for a much larger project of a steam-punk impression mat for my 30 bar soap mold. This time I’m working with food grade silicone. It will be one large mat poured at about a quarter of an inch. Next year, I’ve got several really neat projects, so stay tuned. Lots of bubbles coming your way! 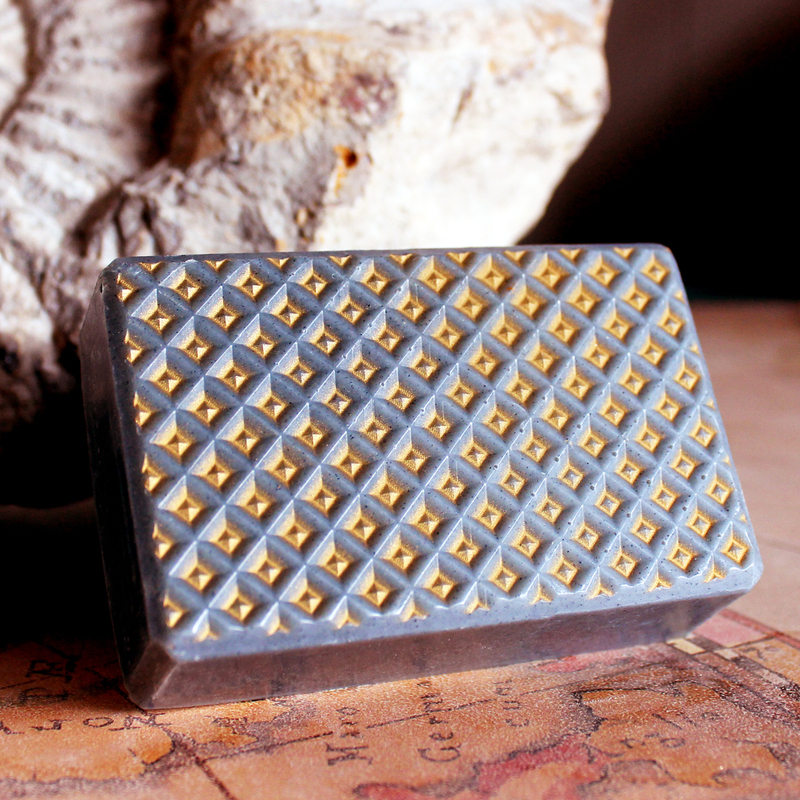 So, here is the first of the soap made with handcrafted steam-punk silicone impression mats by Magellan’s Gift™. Just a start, I’ll be working on improvements for quite awhile. 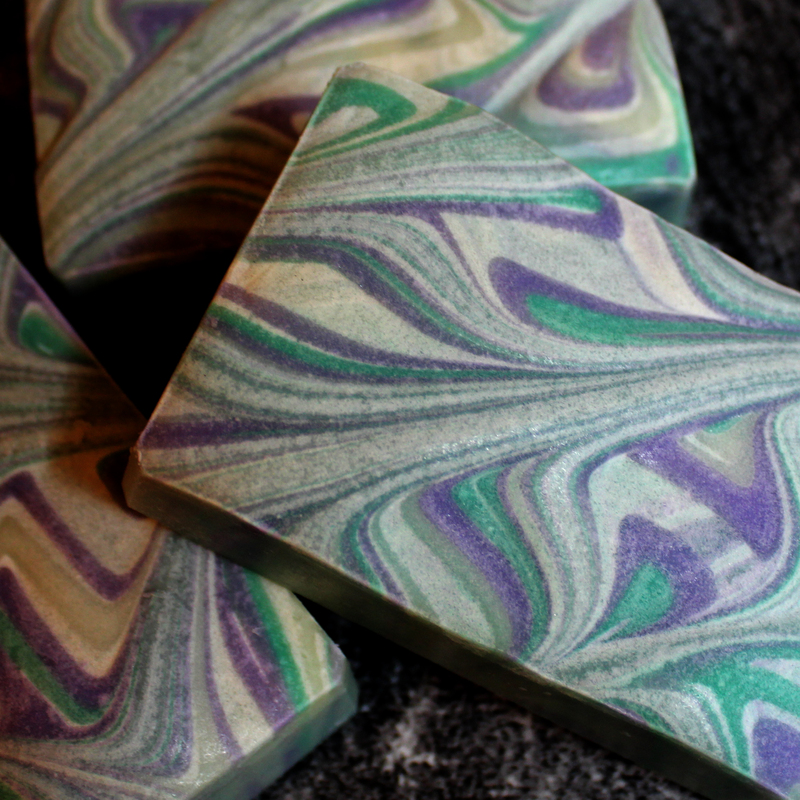 Handcrafted Soap – This Weeks Holiday Harvest. 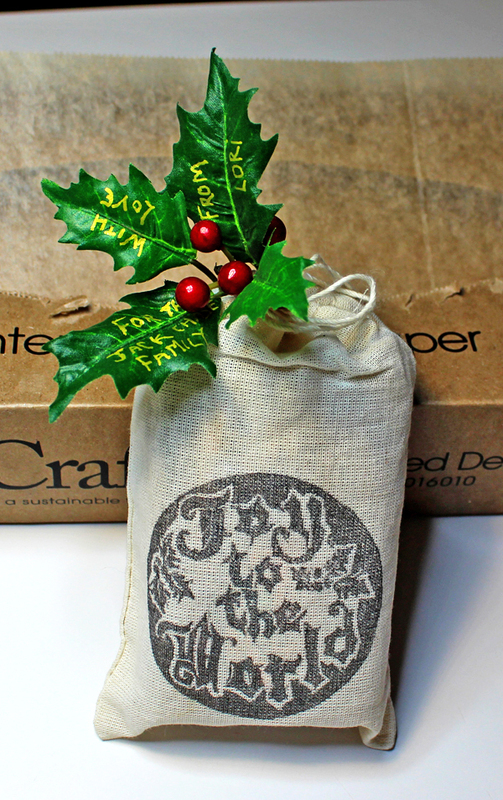 Artisan Holiday Gift Bags for Soap! Several new stamps, handcrafted by Nula Shearing of Noolibird, arrived just in time for the Holidays. I’m hoping to add more to my collection next year. 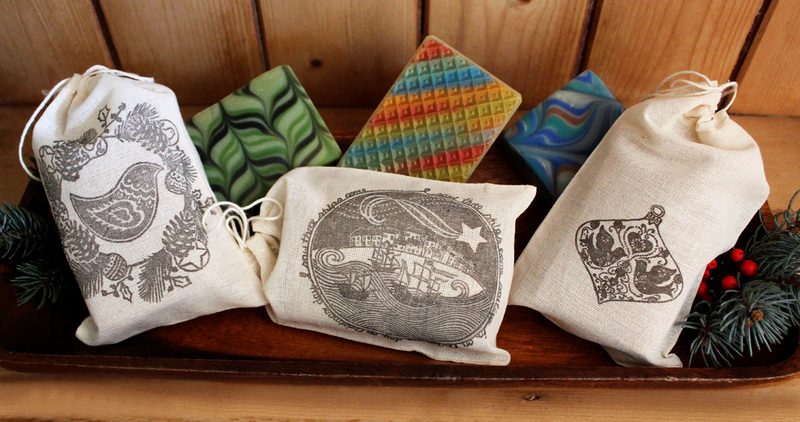 The hand stamped bags fit one bar of soap each and are available on the website. Local folks can find them at the Harrisonburg, Va Farmers Market for the next three Saturdays. Tip: A great way to recycle fake Christmas garland is to make them into gift tags. This time of year it is easy to find felt tip pins in gold, copper or silver to decorate your tags. As always may warm bubbles surround you, may the season bring wonder and joy or at least survive it with some grace!